ZTE's Grand S was officially unveiled and it's big and thin—the world's thinnest—full HD smartphone, and it comes with Android 4.1 Jelly Bean. Let's not beat around the bush here: ZTE isn't the most well-known company here in the U.S., but with the Grand S, that notion is obviously being challenged as it jumps into the phablet arena. There's a huge, huge battle being waged in the war for bigger and better screens. So what do we have? The devices packs a 5-inch HD (1920 x 1080) display, a 1.7GHz quad-core Snapdragon S4 Pro processor, a 13-megapixel auto-focus rear-facing camera (2-megapixel front), 2GB of RAM, 16GB of built-in storage (microSD card slot!) and a 6.9mm frame. I'm almost out of breath naming off all the specs, which can obviously hang with the biggest and baddest. Unfortunately, the Grand S—which is super thin, remember—comes with a 1,780mAh battery, though it's not removable. The device does come with LTE, but it's unclear at this point where and when the device will hit. And for how much. We'll see if the Grand S is loitering around the CES show floor so we can get a hands-on. LAS VEGAS, N.V. – January 8, 2012 – From the 2013 International Consumer Electronics Show (CES), ZTE Corporation ("ZTE") (H share stock code: 0763.HK / A share stock code: 000063.SZ), a publicly-listed global provider of telecommunications equipment, network solutions and mobile devices, today announced the world debut of the ZTE Grand S – 5.0 FHD LTE. As the flagship handset in ZTE's high-end Grand Series line of products, the ZTE Grand S is the company's first FHD smartphone and the world's thinnest within 5 inch FHD quad-core smartphones, enabled by the Qualcomm Snapdragon S4 Pro processor, a product of Qualcomm Technologies, Inc., a wholly-owned subsidiary of Qualcomm Incorporated. Developed by ZTE, the ultrathin body and high definition display of the ZTE Grand S offer consumers the latest in style, quality and functionality. From the full-website display which enables optimal content browsing, to the 4G LTE high-speed network which powers a world-class multimedia experience, the ZTE Grand S offers cutting-edge features for even the most discerning smartphone user. The blazingly fast 4G LTE network allows for top-speed downloading and establishes the handset as a premier gaming and movie-viewing portal. Furthermore, the ZTE Grand S offers smartphone photography mavens advanced functions for more vivid self-photography and video calling effects. With face recognition, anti-shake and a panoramic camera, the ZTE Grand S truly presents a high-quality multimedia option for today's smartphone audience. The introduction of the ZTE Grand S completes the new Grand Series, which also includes the Grand Era and Grand X. In the series, the ZTE Grand X is for consumers with a passion for high tech, the ZTE Grand Era is for the most advanced smartphone user and the ZTE Grand S is the flagship handset offering the perfect combination of art and technology. The ZTE Grand S represents the company's latest entry in a new era of smartphone design, which will continue in 2013 with the introduction of additional high-end smartphones. 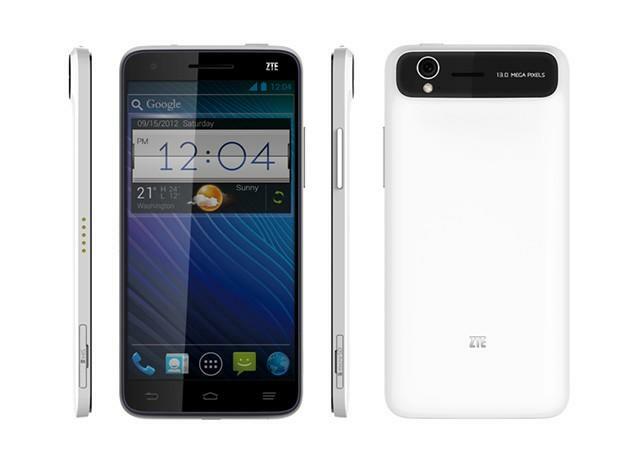 "The ZTE Grand S gives our customers the latest in technology, functionality and style. We understand that today's consumers call for advanced features and state-of-the-art multimedia options in their handsets, and the ZTE Grand S confidently addresses those demands," said Mr. Kan Yulun, Corporate Vice President of ZTE Corporation and CTO of the ZTE Mobile Device Division. "It is fitting that we can announce the world debut of the ZTE Grand S at CES 2013, the world's largest annual innovation event."